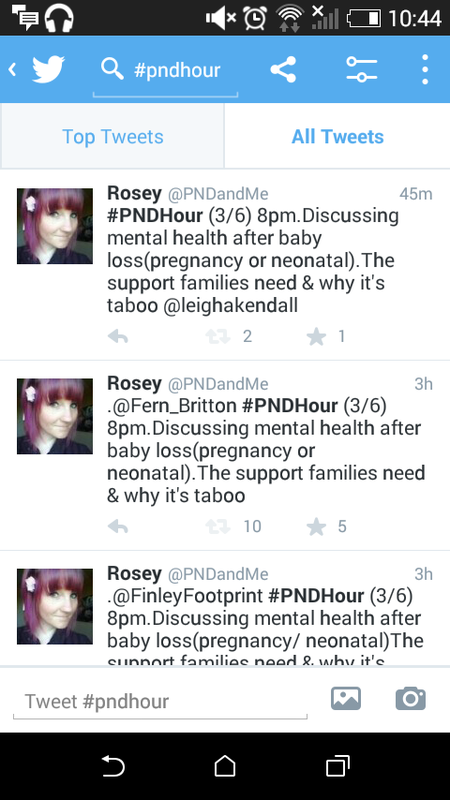 #PNDHour is hosted by me via my Twitter profile @PNDandMe every Wednesday at 8pm, by following these 3 simple steps you will be able to join in and connect with others affected by perinatal mental illness. To join in you will need a Twitter account if you haven’t already. 1) Once you’ve logged into your account follow me @PNDandMe if you aren’t already, this way my tweets about #PNDHour will appear in your timeline. 2) Another way to follow the hour is by using the search function and typing in #PNDHour this will give you tweets with the hashtag including those by people you don’t follow. Below left is a desktop computer view – be sure to click ‘Live’ as this will give you the most recent tweets. Below right is what the mobile app will show, be sure to click ‘All Tweets’ on this bit. Both will automatically load new tweets. 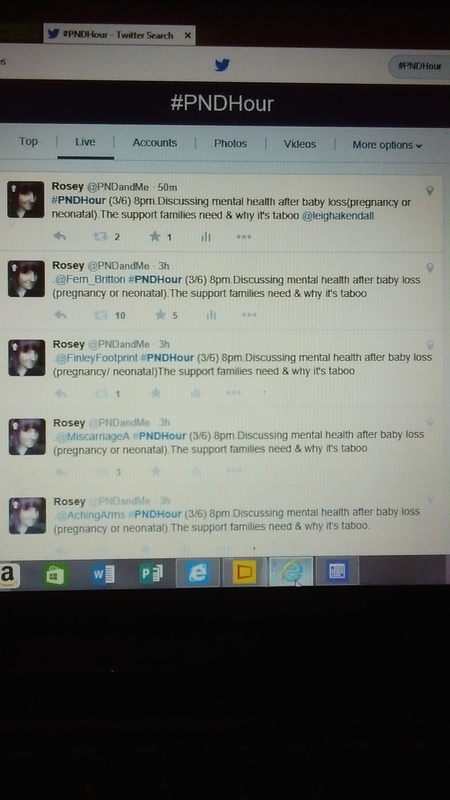 3) If you want to join in simply add the #PNDHour hashtag to your tweets, each week we cover something different which I usually lead the discussion on by asking questions or putting something out for discussion – You’ll be able to see my tweets either on your timeline or by using the search function for #PNDHour.